The Kiwanis Club presented Mt. Olive Township Business Administrator Sean Canning and Recreation Dept. Director Jill Daggon with a donation of $500.00 to help defray the cost of the construction of Mt. Playmore. All proceeds will be used directly to build the playground, which is expected to be a part of the Mt. Olive recreational facilities for years to come. 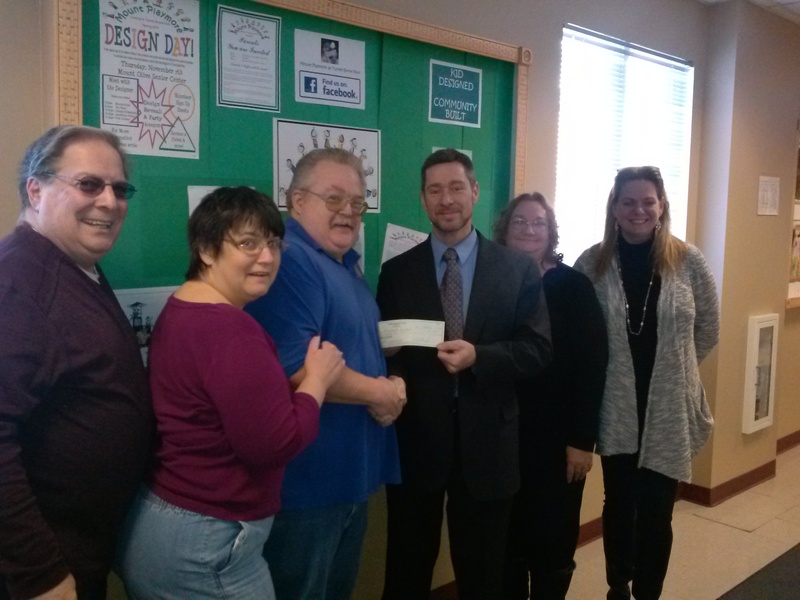 Pictured above from left to right is Steve Rattner (Treasurer), Kelly Gregory (Director), Rich Moore (President), Business Administrator Sean Canning, Recreation Director Jill Daggon, and Noelle Kehrley (Director).